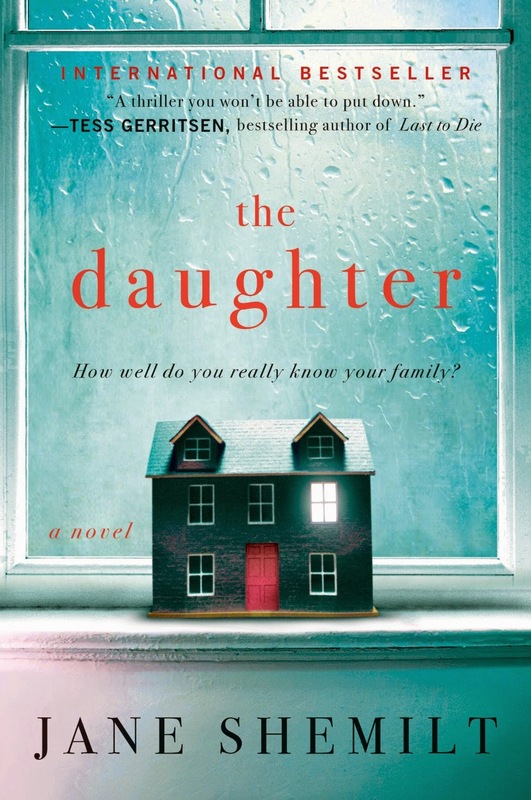 Rendell, this compelling and clever psychological thriller spins the harrowing tale of a mother’s obsessive search for her missing daughter. What I Say....This was an interesting book. The pace was so slow that it made me crazy at times, but I kept going because I wanted to know what happened to Naomi. The story starts with the perfect family, two doctors and their perfect offspring. Jenny is becoming worried that her daughter, Naomi, is pulling away from her, but appears to be a little afraid to do anything that might make Naomi mad. You know like saying "no" or "Is there a reason you are acting like a witch?". Ostensibly, this is because Naomi is the perfect daughter, active at school, good grades, with lots of friends, but later it seems like this is actually more of a byproduct of Jenny's actual disconnect with the reality of her whole family. Anyway, the dissolution of the family happens within a year of Naomi disappearing after play practice one night. Two of her kids are dabbling in drugs, both of who are stealing drugs from their parents workplaces, the other son is strangely withdrawn, and taking pictures of his sister naked in the woods (it's "art", Jenny defends to her husband!). So Naomi was dating one boy, desperately trying everything to force a miscarriage of their baby (of course her physician mother had no idea she was 10 weeks pregnant), when she fell in love with a Gypsy (who seduced her to get revenge on her father for a faulty surgery on a member of their clan), and then she ran away with said Gypsy in order to keep her baby from her ex-boyfriend (who still loved her)? This didn't make any sense at all. And the vengeful Gypsy, who got Naomi to run away and let her family wonder if she was dead for the last year to torment them, he also got her brother hooked on drugs. But he suddenly fell so in love with Naomi that he died for her in a shoot out with the police? Not to say that any of this took away from my enjoyment of the book, I was drawn into the story. It was just once I finished the last page, all of the areas where it didn't make sense came at me very quickly. I was just so invested in finding out what happened to Naomi. By the end of the book, it was obvious she was a probably a bit of a sociopath, or at least criminally self-absorbed. Or Jen was even a worse mother than I already thought. And I was already pretty sure that she was an awful mother.